Art contests can encourage children to develop confidence in self-expression as well as a sense of pride and achievement when they receive a prize. Contests involving art projects can also show children that taking part in competitions is an enjoyable experience in itself, regardless of whether any prize is awarded. A range of art competitions, with varying prize values, are available for children to enjoy. Each year, the Doodle 4 Google art contest invites all U.S. students from kindergarten through grade 12, including those who are home-schooled, to demonstrate their artistic talents by redesigning Google’s homepage logo. The 2011 art competition theme, “What I’d like to do someday … ”, encourages children to use their artistic creativity to depict their future ambitions. The first prize winner is awarded a $15,000 college scholarship and a technology grant for their school worth $25,000. Parents and teachers can find full information on how to participate on Google's Doodle 4 Google website. 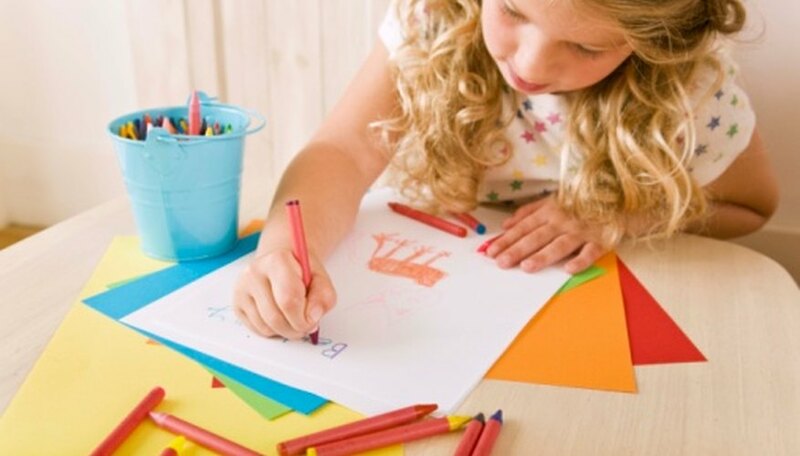 Children between the ages of 3 and 12 from across the Unites States can enter the FreeKidsCrafts.com Monthly Craft Contest. To enter the competition, children must produce an art project made from basic household items and craft supplies and send in a photograph of their artistic creation. Four winners are chosen every month and each winning entrant receives a selection of craft supplies worth $50. Winning art projects are also displayed on the website. The Wildlife Forever State-Fish Art Contest has been held annually since 1999 and aims to educate children, parents and teachers on the various types of fish in the United States while raising awareness of conservation issues. The art contest is open to children in grades 4 through 12 in the U.S. and internationally. Children attending public schools, private schools and those who are home-schooled are all eligible to enter. Each qualifying piece of artwork should depict an officially designated state fish or an Ontario designated fish in its natural habitat. Each piece must be created by hand using a range of art materials that include colored pencils, crosshatch, watercolors, pointillism, scratch board, linoleum printing and crayons. Artwork must also be accompanied by a short essay related to the chosen fish, including information on its behaviour, habitat and related conservation issues. A monthly art contest for children is hosted by Art Made Easy. This is an International competition, open to all children aged 18 years and under. The winning work of art is selected at random each month, due to the differences in entrants’ ages and the wide range of chosen subject matter and media used to produce the artwork. The competition aims to boost confidence and self-esteem in children through creating and sharing their artwork. Each month in 2011, the winner of the art contest will have their work displayed and will also be awarded with art supplies worth $20. On a smaller scale, the positive effect that art competitions can have on children can also be achieved in the classroom without entering national or international contests. Students can still enjoy healthy competition and achieve a sense of pride by winning a contest that allows their artwork to be displayed in a prominent location in their school. Another way to reward children for their artwork might be to organize a classroom or school-wide art contest to design a poster to advertise a school event. This also gives students a chance to share their work with their peers and receive praise from them.